I’ve always had a soft spot for Craigslist despite what other critics might say. The platform has its downsides and certain features to be aware of to avoid getting scammed, but overall it can be a good place to make extra money or even land your next job. Most of the jobs I’ve had (including my current full-time job) were found via Craigslist. If you know how to use the site correctly, you can be well on your way to earning extra money or landing a new job too. 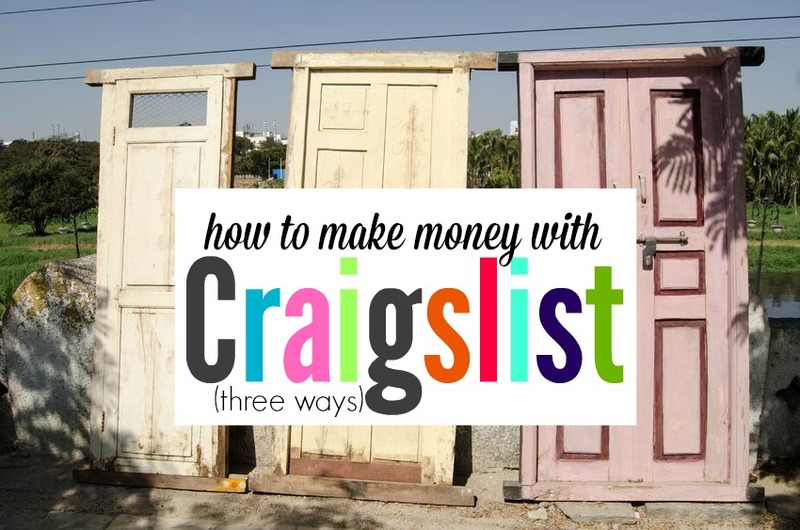 Here are three main ways to legitimately earn money with Craigslist. 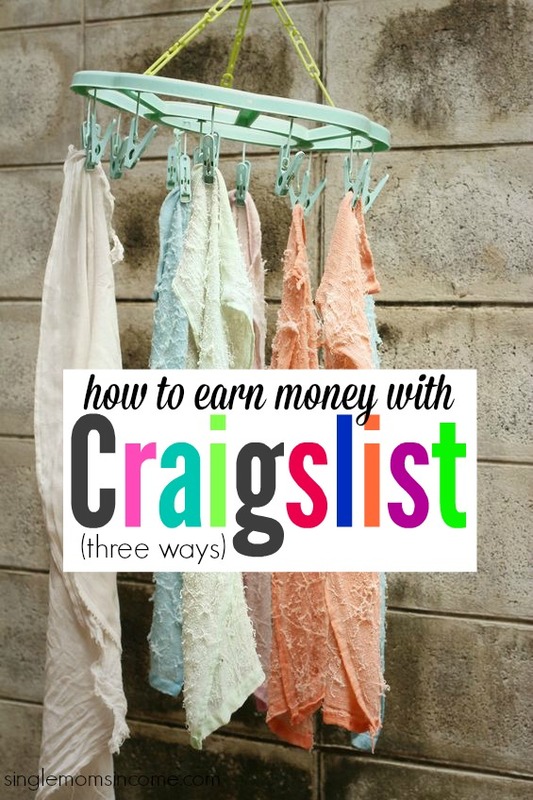 Selling items online is one of the best ways to earn extra cash quickly with Craigslist. There are probably millions of people selling things on Craigslist, but the key is to target a local area, take great photos, and be descriptive if you wish to be successful. Focus on selling physical products (old or new) on Craigslist in the ‘For Sale’ section as opposed to trying to sell services and courses (I’ll discuss selling your services soon). That way, if a buyer is interested, they can simply meet with you in person to receive the item and pay you most likely in cash. Craigslist doesn’t have an online payment system like Amazon or Ebay and that’s because they highly recommend face-to-face simplified cash transactions between local buyers and sellers. Craigslist breaks down several major cities and neighborhoods to make it easy to specify your location. For added security, they protect your personal email address from being shown so people who are interested in the item(s) you are selling can email you safely without gaining any of your personal information. When meeting up with a buyer, I’d recommend meeting in a public place with lots of people around if you can. Some Craigslist sellers I know even have public warehouses or will meet buyers at an office to avoid having the transaction take place at their home. However, it’s not uncommon for a lot of sales to take place at someone’s home. I sold my Xbox 360 about two years ago to a guy who offered to come to my apartment to purchase it. In this case, he had to try out the Xbox on a television to make it worked properly. When he saw that it did, he happily paid me in cash and went on his way. In the past, I’ve purchased two laptops from Craigslist sellers. The first time, I went to someone’s house to test out the laptop and the seller was very friendly and professional. The second time, I met with a seller at a nearby McDonalds and that was even better. Luckily, I’ve never felt unsafe or uneasy when meeting up with sellers or buyers but if you want to take extra caution, I’d highly recommend meeting up in a public place and allowing Craigslist to block out your personal email address when you create a listing. Craigslist offers a wide variety of full-time and part-time jobs along with temporary and contract gigs for various different industries. No matter what field you desire to work in, there are most likely job ads you will be interested in on Craigslist. Like I said, I landed a number of gigs and part-time jobs on Craigslist and I even landed my current full-time job after responding to an ad on Craigslist. Many employers, small business owners, and entrepreneurs utilize Craigslist over using recruiters and recruiting websites because it is a low-cost DIY way to find ideal candidates. If you are answering a job ad on Craigslist, timing is everything. Job ads can be very competitive so you want to respond to the posting as quickly as you can or at least within the first 5 days. Hiring managers may not look at every response to their ad if they receive dozens but they are likely to check out the first few. Make sure you read through the ad thoroughly to make sure you understand the application materials or requests. Some employers may want you to send a resume and cover letter, answer a few questions, or even use a specific subject line in your email and all of these things can help you get noticed and secure an interview. For gigs, you can secure work for everything from lawn care and brand ambassador jobs to freelance writing jobs, computer repair work and more. Most gigs will say how much the job pays and this will information will appear under the title ‘Compensation’ which can be found to the right of the details for the gig. Some gigs are unpaid though so if you are interested in earning more for your work, be sure the gig is marked as paid before you apply. If you are interested in a particular opportunity but fear it could be a scam, research the company who posted the ad. See if they have a professional website and are accredited with the BBB. Check out their physical location via Google Maps and see if you can pull up any reviews from current or past employees or salary reports on Glassdoor. By utilizing all of these resources, you should be able to determine if the opportunity is legit or not. For gigs, look out for terms like ‘earn up to $1500 a week’ ‘Earn easy money online’ and ‘Start Today!’ as big red flags. 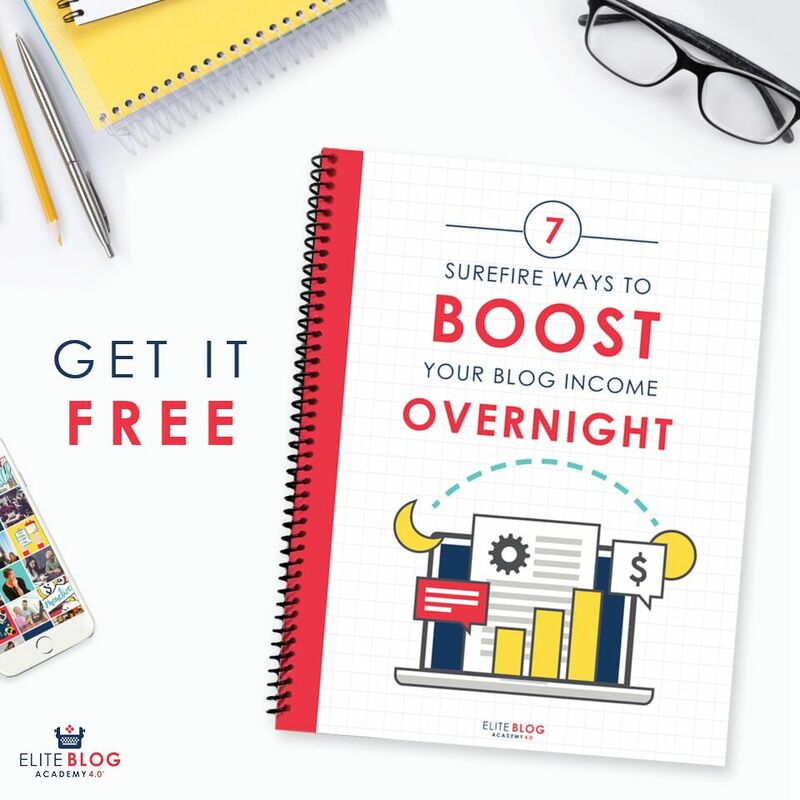 Odds are, it’s not that easy to earn money online and you probably won’t earn thousands of dollars per week doing something you found on a Craigslist ad. It also wouldn’t hurt to research the company or person posting the ad for the gig (if that information is provided) to receive even more background information. Instead of applying for opportunities you find on Craigslist and waiting around for a response, you can also post ads about your services and skills so people can reach out to you to hire you instead. In the ‘Services’ section on Craigslist, you can list the services you provide to clients and customers along with your contact info or a link to your website or business so people can get in touch with you. I haven’t tried this feature of Craigslist personally, but I know it’s basically like free advertising for your services especially if you offer something unique or custom as that can increase your chances of hearing back from someone. Even though there are tons of ways to earn money online and many new platforms popping up, don’t forget about using these 3 Craigslist features on this free classifieds site. Have you ever used Craigslist to find work or sell items? It’s interesting to see how Craigslist has evolved over the years. I have found multiple jobs on Craigslist along with purchasing and selling many items. I will have to say that Craigslist is an easy find type of place. People are quick to post and quick to respond. Being cautious is definitely necessary. I’ve used Craigslist for many of the same purposes as well. Being careful no matter what you do online is a must these days as there are scammers everywhere. Thanks Giulia, glad you liked it! Great tips! I have landed a few freelance writing gigs from Craigslist. I have also sold some furniture on there! This is a really great list. One thing that I have done in the past was pick up furniture listed in the free section of craigslist, repaint them and then sell them. Like I got a dresser for free. I sanded (that doesn’t look correct but you get it), painted it and replaced the knobs. I then placed an ad to sell it for $120. Ended up selling for $100. Total cost to me was about $30.